If you’re not foraging for wild foods, you’re missing out on opportunities left and right. Foraged foods are spectacular in so many ways, from saving money to exposing you to foods can’t find elsewhere to giving you awesome health benefits, just to name a fraction of the benefits. Foraging helps you, your family, your health and the planet. It’s good for you physically, mentally and spiritually. Here are fifty wonderful reasons to forage for wild foods. You save money on grocery bills. This is a given, but it can really add up. You get the rewards of gardening without the work. You don’t need to plant, weed, water or fuss over wild plants. Nature does all of that for you and then you get to harvest them. Many wild foods are absolutely delicious. Young cattail hearts sauteed in butter are among our kids’ favorite veggies but you won’t find them in any store. Likewise, our kids gobble mulberries until their fingers and faces are stained purple. Morels are also well loved, and not available in any big chain grocery store. The list goes on and on. They are incredibly healthful. There are 50 wild edible superfoods just in this list. You get to try new foods. 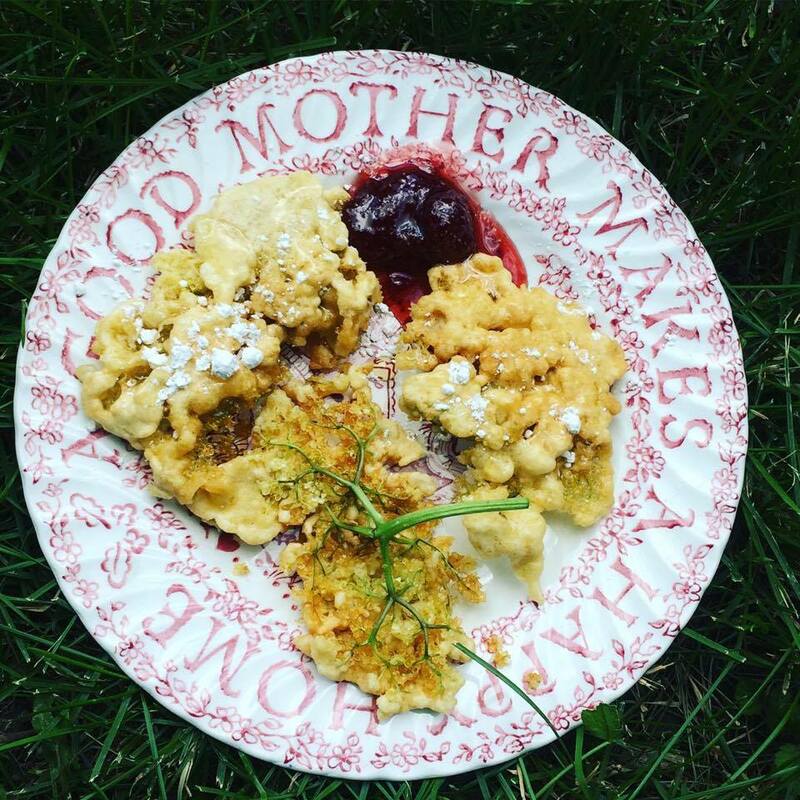 Mulberries, waterleaf, pheasant back mushrooms, purslane, ramps, dandelion syrup, acorn flour and crab apple cider are just a few of the foods our family never tasted until we started gathering wild edibles. It’s better for the environment. The fewer foods we eat that are shipped on trucks and grown with pesticides, the better for our earth, air and water supplies. You get healthy exercise. It’s a lot more rewarding than going to the gym — and free. You can transplant well loved plants to your own property to continue to get free access to favorite foods. Many foragers transplant ramps or seed their own woods with mushroom spores in order to create their own backyard bounty. Some foragers even start patches of stinging nettles on their property to have easier access to them regular use. Just make sure to do so responsibly and legally. It connects kids to their food. Modern children are increasingly removed from food sources. More and more often, they don’t recognize the pumpkin that’s needed for pumpkin pie or realize that potatoes don’t come as frozen and dehydrated shapes in boxes and bags. 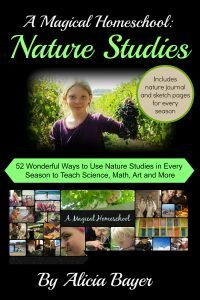 Foraging allows kids to see foods as growing, living things, to learn how to prepare them and to understand that a grocery store and credit card are not required to eat. They can also develop positive associations with real foods because of the time spend foraging for them — like the asparagus they gathered with dad every June and the pears they climbed the abandoned tree to gather and then helped can for winter. You can eat delicacies like morels and ramps that are prohibitively expensive in stores and farmers’ markets. That is if you can find them at all. You learn how to provide for yourself and your family no matter what happens. In Stalking the Wild Asparagus, Euell Gibbon wrote of how he fed his family for several months when his father was gone and his mother had no money for food. While none of us expects that sort of circumstance to happen, it’s good to know how to find free, healthy food when you need to. You avoid GMOs. There are no genetically modified wild foods, by definition. Most purchased foods contain genetically modified ingredients such as GMO corn, soy, sugar (beet sugar) and canola oil. Even GMO potatoes have been recently approved. Wild foods have not been modified in any lab. You can make money doing it. More and more people are ethically harvesting wild foods to sell at farmers’ markets and coops. Others are starting wild food CSAs for members who pay to have a weekly delivery of in-season foraged foods. Some foragers even sell to local chefs who want to use local wild delicacies in their restaurants. You can barter foraged foods for other goods. Even if you don’t sell the wild foods you gather, you can offer them in trade for other wild foods, garden bounties or services. You may have a bounty of oyster mushrooms and trade some with a friend who has a backyard full of windfall apples, for instance. You can forage for more than food. 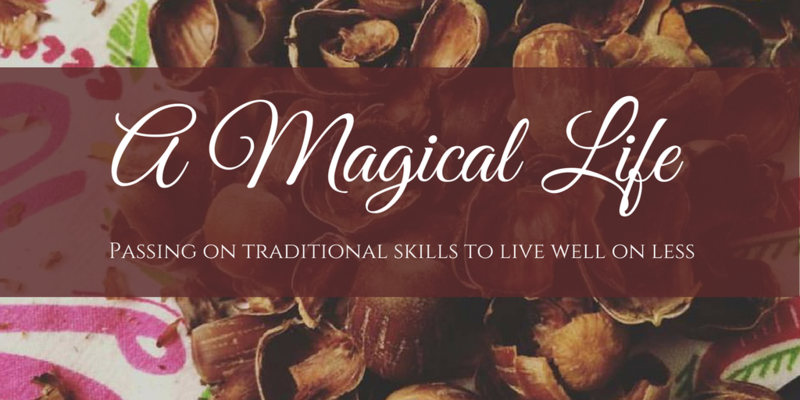 You can gather plantain leaves to use in homemade skin treatments, elderberries for medicinal uses, reeds for basket weaving, berries for dyeing, and so much more. There are wild plants out there for just about any use you could name. Foraging provides an opportunity to slow down and spend time with loved ones. Foraging is a wonderful way to really spend time with spouses, children and other people whose company you enjoy. It helps relieve kids’ ADHD symptoms. Studies have shown that time in green spaces dramatically decreases kids’ hyperactive behavior, particularly wide open green spaces. Regular time foraging in nature helps them manage their symptoms the rest of the time. Wild foods offer excellent healing benefits. Nettles are practically a wonder cure for dozens of ailments, for example, and are plentiful in the wild. 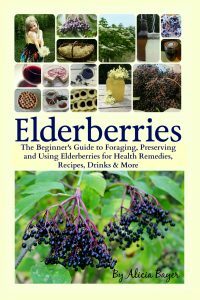 Elderberries are another example of incredibly healthy wild edibles that are unmatched in treating the flu. You have skills to protect you in a survival situation. You may never need to know how to find food if you’re lost in the woods, for instance, but it’s a handy skill to have. Your kids will also know how to take care of themselves. Likewise, it can be very helpful for kids to know to apply plantain leaf to a wasp sting or the inside of a jewelweed stalk to skin that just brushed poison ivy, plus wild foods that they can find just about anywhere. You learn to see how many delicious foods are literally all around us. From the apple trees in the parking lot to the oyster mushrooms in the state park to the violets in your lawn that you know to make beautiful lavender syrup or cordials with, there are wonderful foods all around once you learn to look. You spend time in nature. Foraging in a beautiful natural environment is one of the best ways to deal with stress and slow down. For those who follow the paleo diet, it doesn’t get any more paleo than gathering your own wild foods. Foraging is literally what our ancestors did for millennia. It provides a nearly endless source of bitter greens, which are crucial for health. We are now learning how important bitter greens are in particular for optimal health. You get fresh air and vitamin D from the sun. Both of these are also vital to good health. Foraging teaches you to savor each season. You can get just about any food in the grocery store any month of the year, but foragers know that many wild edibles are for a limited time only. This allows you to anticipate each upcoming month and really embrace what’s in season now. Our family has wild asparagus as a part of nearly every meal in May, for instance, and I look forward to it all the rest of the year. We’ll have small amounts of asparagus that we’ve frozen included in other meals later in the year, and that will remind us of the time we spent gathering it. Our kids look forward to muffins made with acorn flour every fall after processing acorns in September (nothing smells as heavenly in autumn as acorn flour muffins baking in the oven) . Every month has different wild foods to search out and enjoy. Wild foods are naturally free of pesticides and herbicides. Just be sure to forage in unpolluted areas, of course. It is immensely satisfying. There is something really special in preparing a meal with wild food that you gathered yourself. Wild foods can make wonderful gifts. There are fantastic, one-of-a-kind gifts that you can make from foraged foods that you just can’t find anywhere else. Violet liqueur is nearly impossible to find in the Unites States, even though it’s often praised for its beautiful purple color, delicious taste and fragrance, and its incredibly cool property of turning bright pink in mixed drinks when an acid like lemon juice is added (it’s a natural pH indicator). You could pay a fortune to order it from another country or you could make your own by steeping fresh violet flowers in vodka for a few weeks and straining and bottling. Dried mushrooms, pickled ramps, wild fruit wines, dried elderberries and mulberry jam are just a few examples of other wonderful presents you can make from foraged foods. You can help the ecosystem. Many wild foods like garlic mustard are invasive. The more you gather, the more you help other local plants. You get food that’s at it’s absolute freshest. Grocery store produce is shipped on a truck and then sits in stores for weeks sometimes. Foraged foods are typically eaten the day (or even minute) they’re picked. You can pass on skills to kids when you take them foraging. This gives them knowledge and security for life, not to mention life skills that are nearly lost to our youngest generations. You create memories with your kids and family. Foraging provides an ongoing opportunity to spend real time with loved ones and create lasting memories. Some of our family’s happiest times are spent trekking through local woods in search of mushrooms, shaking mulberries onto sheets at the county park, and processing acorns at the kitchen table while talking. All of our kids have their own memories of sweet, funny or sometimes magical moments that happened while foraging together, along with just general memories of lazy Sundays spent gathering goodies with each other. It’s more enjoyable than grocery shopping. You can go get food in a loud, crowded building lit with fluorescent lights and spend a fortune on it, or you can go to your nearby park, woods, or even back yard and get food for free. It’s another version of the victory garden. In World War II, the government put up posters encouraging every American family to plant a “victory garden” so they wouldn’t be as much of a burden on the food system. The idea was that every family could grow much of its own food and ensure there was enough for everybody. Foraging is an extension of that idea, allowing families to be even more self sufficient. You learn so much. Foraging teaches you about plants, cooking, health, history, science and more. You can do it anywhere. 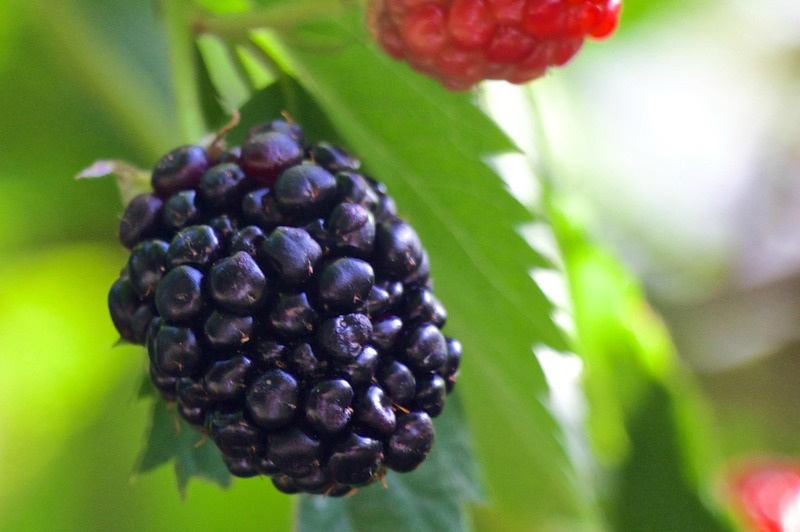 There are wild foods that are abundant in cities, in rural areas, in the suburbs, everywhere. It can help eliminate “food deserts.” We are hearing more and more about the problem of urban areas where people have no neighborhood access to healthy fresh foods in stores. Even in these areas, there are wild foods. Sites and apps like Falling Fruit help people locate edible fruit trees and other wild foods in cities around the nation and the world, for instance. Foraging helps teach you to recognize the edible weeds, fruit trees and other wild foods all around even in the heart of the city. It’s free. Many hobbies and activities can get expensive in terms of equipment and fees. Spend your afternoon foraging and it generally costs nothing at all. You break out of food ruts. Gathering wild foods forces you out of the typical Thursday night dinner fare, especially when you are trying something new. It encourages mindfulness. You can’t multi-task while foraging. You have to really pay attention, look and immerse yourself in your environment. You see, hear, smell and interact with the world around you. This kind of activity is a lot like meditation and has the same benefits for your health, blood pressure, mood and stress levels. You can preserve a lot of the season’s bounty for later in the year. Our family currently has eight gallon bags of frozen asparagus in the freezer for the winter from this month’s asparagus season. Last fall, we put up dozens of quarts canned pears and dozens more quarts of applesauce, plus a half dozen quarts of dried elderberries to make elderberry anti-flu syrup. We also have stashes of acorn flour, walnuts, apple juice, wild plum sauce and more that we preserved to help take us through winter. All of it was free other than a few ingredients like sugar and pectin for some, and it would have cost hundreds of dollars in the store (and would not have been nearly as good quality). It forces you to slow down. In today’s world, we are often so rushed and stressed. Foraging requires that we slow down and leave all that behind. You can opt out of the system — or at least rely on it less. Most Americans are entirely dependent on Big Ag and factory farmed foods, like it or not. The more you learn to grow and gather your own foods, the less you have to support those industries. You can teach others in your community how to be more self sufficient. 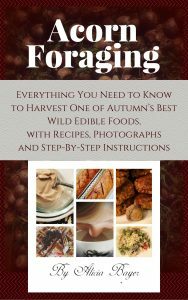 Once you become an experienced forager, you can help teach others around you how to find wild foods. This is a priceless gift for everybody you teach, and then for everybody they teach. Anybody can learn to do it. 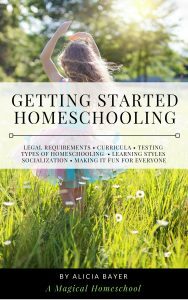 Our family started foraging several years ago as a homeschooling summer project and we enjoyed it so much that it took off from there. There are books, apps and Facebook groups to help get you started. You learn to appreciate your food. When you cook with food that you gathered, you know how hard it was to find and how much it’s worth to you. Whether it’s a bounty of morel mushrooms that you finally found after searching every spring in vain or a small bucket of wild raspberries that took you and your kids an afternoon to gather, you appreciate food that you forage yourself and you truly savor it. Chances are, you’ve already done it. Have you ever picked a wild raspberry and popped it into your mouth? Have you ever been hunting or fishing? Taken part in maple syrup tapping? Picked apples from a neighbor’s tree (with permission, of course)? These are all examples of foraging. It’s the ultimate way to eat local. It doesn’t get any fresher or any closer to home. It’s fun. Straight from my youngest son’s mouth, here’s one of the biggest reasons to forage. Besides the good it does for your health, your bank account, your family, the environment and all of those other serious reasons, it’s quite simply just fun. I have gathered blueberries and other wild edibles countless times since my childhood days, but the essential wonder of it remains. Foraging satisfies my needs on so many different levels, both physical and spiritual. It has become my personal touchstone not only with my past but also with the natural world around me. Now, of course, I can and often do supply a litany of rationales as to why my pursuit is a desirable one — anything from personal survival, to improved nutrition, to even a heightened sense of environmental awareness. But all of these reasons come after the fact and serve only to justify what I am already doing. Basically, the reason why I gather wild foods now is the same one that applied when I was a child: it’s fun. Whatever reasons drive you to learn to forage, it’s a skill that’s sure to reward you. Chances are, once you start, you’ll find more and more of your own reasons to love it.